The Bright Lights International Program welcomes Japanese students from Senshu Matsudo Junior High School to Lincoln for the 16th year to learn and build friendships with American middle school students. The learning activities and interaction with the students from both countries provide the success of this program. As one parent commented, “There is no greater experience than watching the youth of two different cultures come together, share and communicate with each other.” The experience is rich in not only learning a new area, but in helping youth build positive relationships with peers from another country as well as their own. Many classes such as Broadway Bound, Clay Expressions, Cooking American and Japanese Cuisine, Extreme Dissecting and Robotics have been a part of this program for many years. Newer classes include Outdoor Adventures, Physics World Z and Sew SO Easy. All classes are taught by top-notch teachers who have expertise in their areas, as well as a love of teaching middle school students and students from abroad. 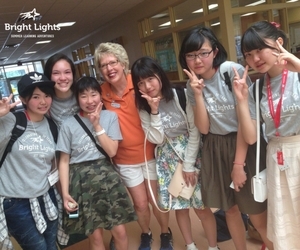 This year the Bright Lights International Program will be held the week of June 19 - 23 at Lux Middle School. The Class Schedule is available online and registration for the classes will start April 1 at BrightLights.org. As an added bonus to these experiences, the American students are invited to an afternoon of bowling on Thursday, June 22, hosted by the Japanese students. After a week of participation in these classes, many of the students keep in contact by email long after their experiences together end, and some even make trips to visit their Japanese friends. This cultural exchange is a memory experience that lasts a lifetime. As part of their two-week American experience, the Japanese students get to participate in a home stay for four days and three nights in June. There is often a need for host families to house and entertain the visiting Japanese students. 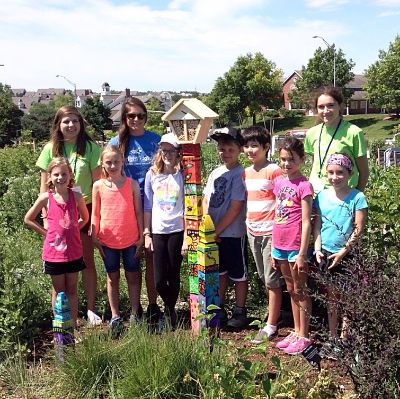 If you are interested in this amazing opportunity, please contact Dru Sypal at dsypal@lps.org for more information.